from our eclectic array of Food and Beverage vendors! The Farmer’s Wife, a favorite Pop-Up sandwich stand at Sonoma, Marin & San Francisco farm markets, breathtakingly prepares delectable and decadent, award winning, cheesy Melts. Specializing in local, organic and farm fresh produce, the Wife, has earned the title, “Best Sandwich in Sonoma County” for four consecutive years, 2012-2015. Her use of seasonal fruits and vegetables with eggs, housemade sausage, ferments & cheese between organic sourdough bread have been declared, “the epitome of sandwich perfection” ~Sonoma Sun 2015. EAT! Dabba is a combination of bold, intricate flavors from around the world with the fresh and healthy sensibilities of Northern California – fresh, seasonal ingredients to make wholesome, flavorful dishes like nothing you’ve ever tasted before. Our aim is to create culinary combinations that are not only amazingly delicious and unique but nourishing to people, inside and out. El Pípila is an established food vendor, based in the Bay Area and serving authentic Guanajuato artisanal cuisine in several locations, including the San Francisco Financial District, street food markets, and through its catering services. Our dishes are created from traditional recipes passed from generation to generation, offering an original taste of Guanajuato, the heart of Mexico. Pye serves full-meal savory hand pies, made from organic, regionally-sourced, and sustainably produced ingredients. The “Pye Guys” behind this Kiwi/Aussie/South African favorite are brothers Cody and Caleb MacCready. We guarantee you will love their handmade flaky crust filled with vegetarian and meat options such as mushroom leek, chicken curry, and mince and cheese. 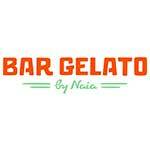 Bar Gelato is a Bay Area original. Made in-house by hand, each bar is flavored with the finest local ingredients available. Revive Kombucha is a culture-driven, employee-owned craft kombucha brewery. We sustainably produce the best tasting kombucha using the highest quality ingredients and innovative craft brewing techniques. The results are uniquely delicious, healthy brews full of live, naturally fermented probiotics with a taste and refreshment like none other.